You are determined to find a heavy-duty pickup truck that feels just like it was made for you. You are looking for a vehicle with character and you are looking for something that performs well. 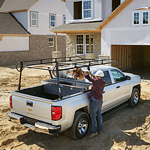 You will get excited when you come to Capitol Chevrolet in Salem and check out the popular Chevrolet Silverado 2500HD. 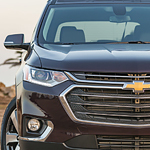 When you look at the Chevrolet Traverse, you'll notice that there has been a focus placed on the space inside the SUV so that you can be comfortable while driving or as a passenger. Passengers in the back of the SUV have more legroom so that they are comfortable while riding in Salem. There's also more space in the back of the Traverse for hauling everything from groceries to your pets. These days, high-tech features are a must-have in vehicles. 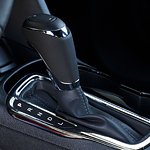 Chevrolet has taken that idea a step further with the new Equinox. This popular compact SUV has an advanced infotainment center that's flexible enough to work with your smartphone device. 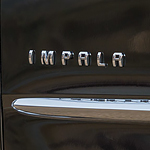 We here at Capitol Chevrolet are excited to show you what this SUV can do. 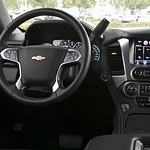 The Chevrolet Infotainment System 3 utilizes a responsive touch screen display and has a number of built-in applications to enhance your drive. However, it's also compatible with Apple CarPlay and Android Auto. In Salem, there are many places where you can unwind and enjoy the sights and sounds of nature. 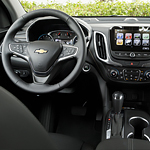 If you want to bring a lot of items with you to these destinations, the Chevrolet Cruze can transport bags coolers, and other items without any hassle. The Chevrolet Cruze is designed for adventures because it has plenty of cargo space. When the seats are folded, the cargo area is 47.2 cubic feet. While the seats are up, the car still has enough space for a few bags and one compact cooler. Among the factors worth considering when choosing a truck bed liner is the type of surface you are going to use. The different types of surfaces depend on the type of truck bed liner you are going to use. You want the best possible quality in order to protect the items in your vehicle. The Chevrolet Sonic is a trusted compact car that is filled with exceptional technological features to make driving safer, easier, and more pleasant. From navigation to audio choices, there's something for everyone. 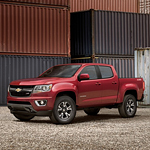 Capitol Chevrolet in Salem carries many models for you to explore.